Creme brulee: delicious. Crepes: delicious. 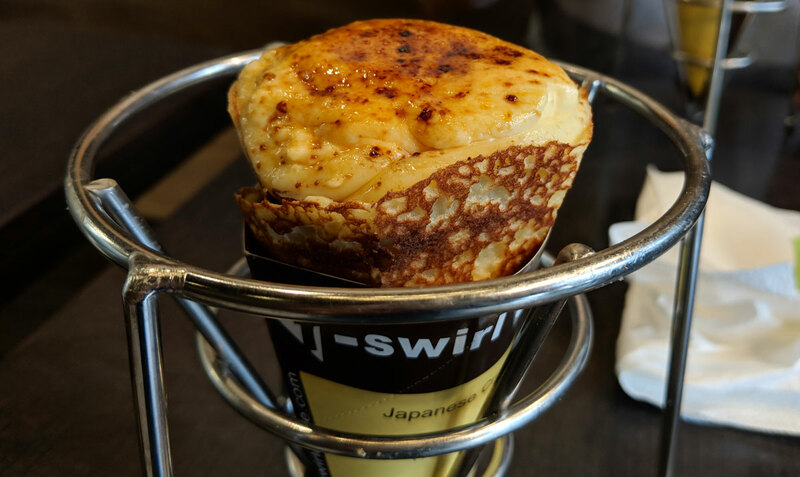 A creme brulee crepe? Yes please. 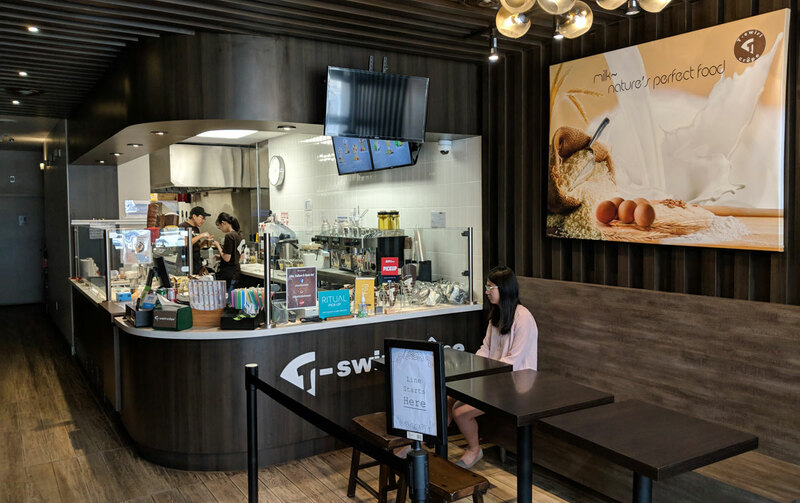 I will, however, admit that I was skeptical; would this be one of those Instagram-friendly food mash-ups that never should have been mashed up? Nope, it’s exactly as delicious as you’re hoping it’ll be. Actually, no; more delicious. My only real complaint is that the top didn’t have the sugary, crackily crispiness that you’re looking for, despite being thoroughly torched. Other than that, it was top notch. The custard was a little bit too sweet — I suspect that it came from a mix — but it was still quite tasty, and certainly got the job done. There was also quite a bit of it; every bite had a generous amount of custard, even right at the bottom of the cone. 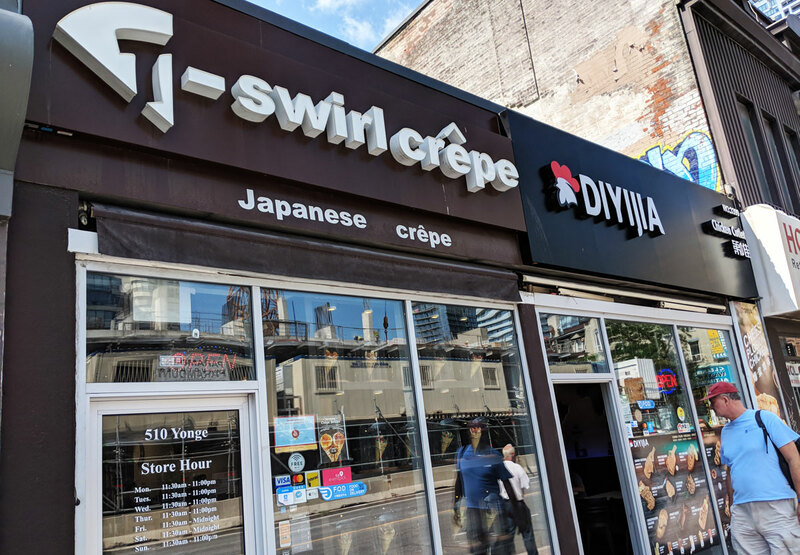 The crepe itself was the highlight; it was freshly made, with a chewy interior and a lightly crispy exterior that set it apart from the norm. It complimented the custard perfectly. I enjoyed it so much that I went back a few days later for round two. I tried the Mango Raspberry, and it was just as good as the creme brulee. 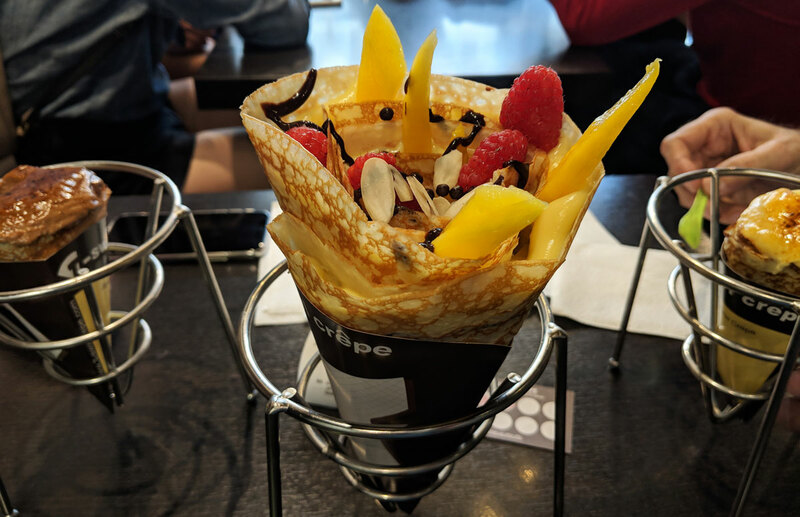 The crepe had the same addictive crispy/chewy contrast, and the filling featured a great balance of tartness and sweetness, with perfectly ripe chunks of fruit.